SP-401 runway threshold lights (runway end lights) are ICAO compliant intelligent aviation lights powered by solar energy. Special LED optics generates correct light output in terms of intensity and chromaticity. We use high quality LED with lifespan 50.000 hrs. Runway threshold lights are powered by in-built deep-cycle batteries providing up to 60 hrs of operations. We use standard batteries available everywhere. 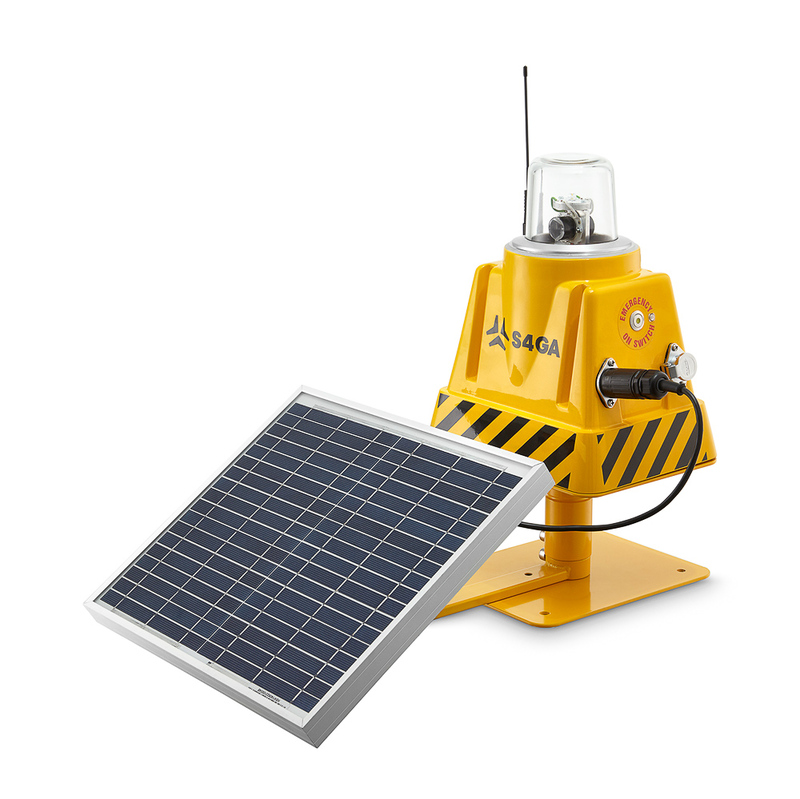 Separately installed 20W solar panel supported by maximum power point tracking ensures high-speed charging. Encoded wireless control and monitoring of SP-401 threshold light is using radio transceiver and sensitive antenna. 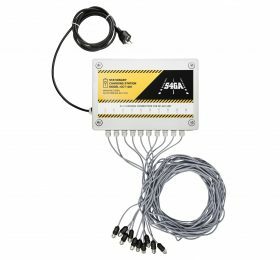 External switch and battery level indicator is available. Frangible mounting is used to fix SP-401 to concrete or asphalt surface. Runway threshold lights and runway end lights – apart from runway edge lights – are the most important lights an airport is equipped with. They allow a pilot to identify the beginning and end of a runway. The color, intensity and layout of the lights are strictly determined by the regulation of the ICAO (the International Civil Aviation Organization), Annex 14. Threshold lighting in airport are to be found at the same place runway edge lights are placed. The exceptions are non-instrument runways and non-precision approach category I runways (which will be discussed below), and wing bar lights. Threshold lights are installed symmetrically on both sides of a runway centerline. They are installed no more than 3 meters behind the end of a runway, in the threshold line. When it comes to non-instrument runways and non-precision approach category I runways, the number of threshold lights is dependent on their even layout in-between edge lights. 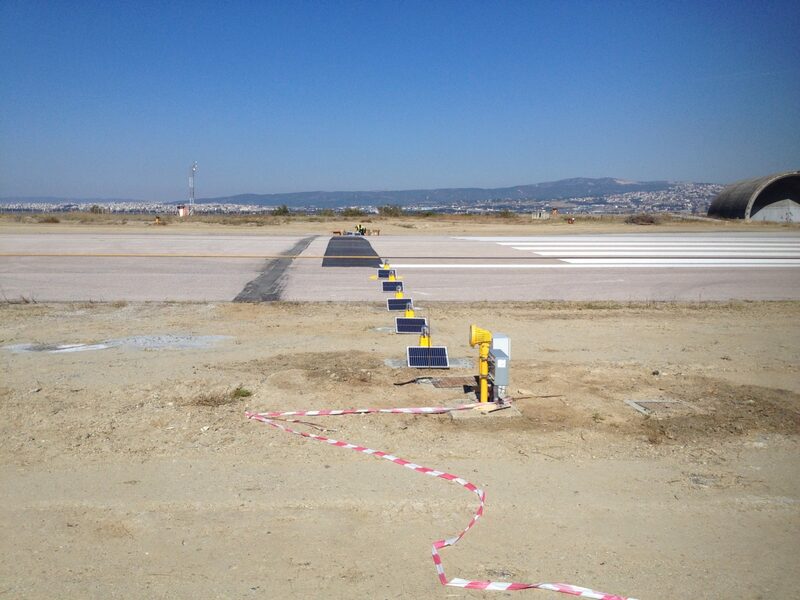 As for precision approach category I and II runways, threshold lights are installed at 3-meter intervals. These lights are green and uni-directional. Runway End Lights are green in an area an aircraft starts landing. In turn, they are red in an area an aircraft should finish landing operations. These lights are installed in the same binding threshold lights are put in. Thanks to the light, it is easier for a pilot to identify both the beginning and end of a runway – especially if it is hard to distinguish a runway from the background, e.g. when surrounded by other lights. Runway End Identifier Lights (REIL) that are put on both sides of a runway constitute an additional help for a pilot. They are installed about 10 meters away from edge lights. These are two lights that give out synchronic flashes; the intensity is from 60 to 120 flashes per minute. Their light is omnidirectional or in the direction of a runway. The ICAO regulations recommend using runway end identifier light mainly at non-instrument runways and in the case of a displaced threshold. Ask us about “runway threshold identification lights“. A displace threshold or DTHR is a runway threshold located in a different place than a runway’s actual beginning or end. It occurs most often in places with obstructions that hinder a safe conduct of flight operations. Also, it is installed in order to minimize the noise. A displaced threshold is marked with edge lights. Stopway is an area at the end of a runway that is used by an aircraft to stop in the event of an interrupted take-off. The lights (stopway lights) that designate that area are turned on in tandem with runway lights. They give out a one-direction light and their layout is the same as that of runway edge lights. The color of lights is red. Operating time Min intensity 60 hrs.